After a long period of oogling the piCture pOlish brand category on Nail Polish Canada these were my first two purchases with which I am uber pleased. I was in the market for some awesome greens and these two shades drew me in completely. 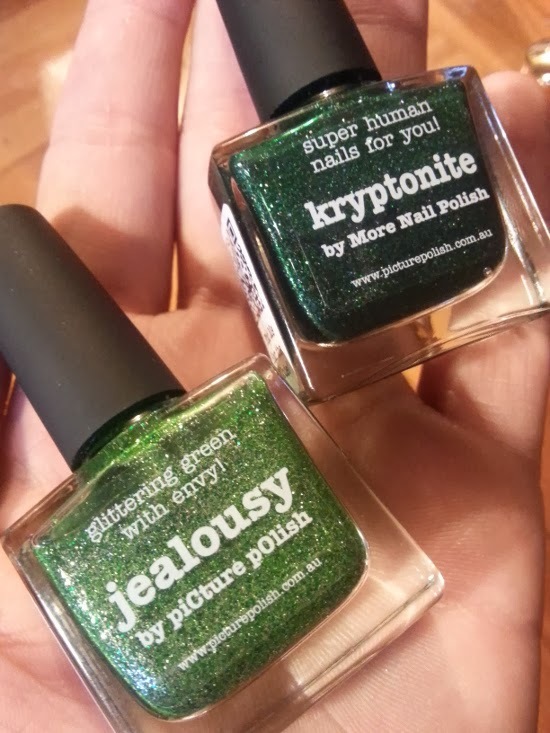 Featured here are Picture Polishes Kryptonite, and Jealousy. I have to admit that I fell in love with not only the color of Kyrptonite but also the name. 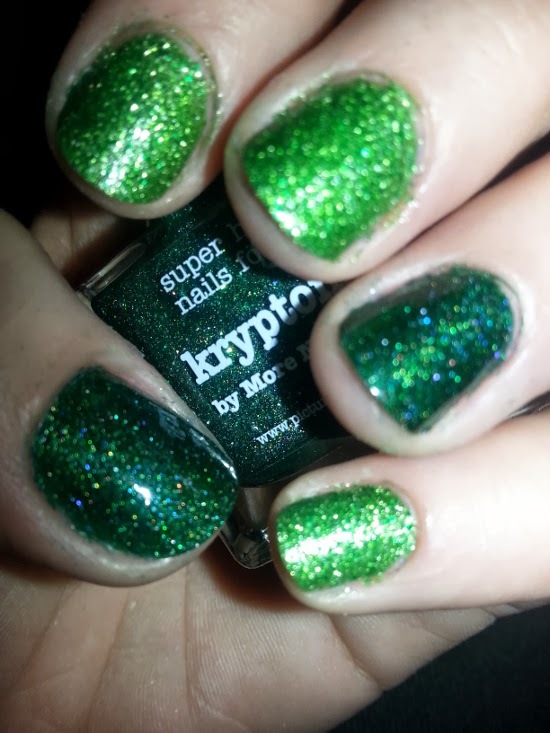 Kryptonite is one of piCture pOlishes collaboration shades with a nail blogger by the name of More Nail Polish . 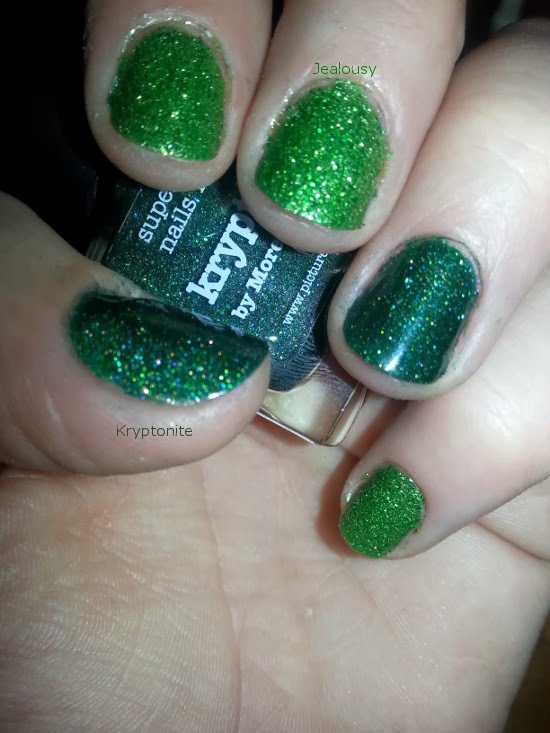 This polish is a deep highly pigmented green with a holo glitter effect that looks spectacular on the nail and dries to a smooth finish. I usually use two to three coats for complete coverage and saturation and finish with a nice shiny top coat. 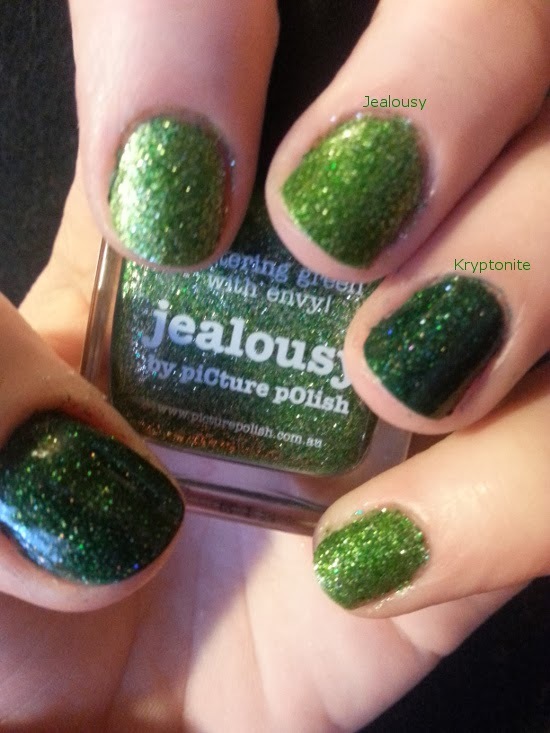 Jealousy is a lovely bright spring green peppered with silver glitter that dries to a textured finish and covers fully in just two coats. Even with top coat this polish still remains somewhat textured on the nail and is forever catching the light and sparkling like cray cray. Here are some swatch photos! I hope that you love these shades as much as I do. If you find yourself as captivated with them as I was you can find them either Here or Here. Thanks for stopping by!